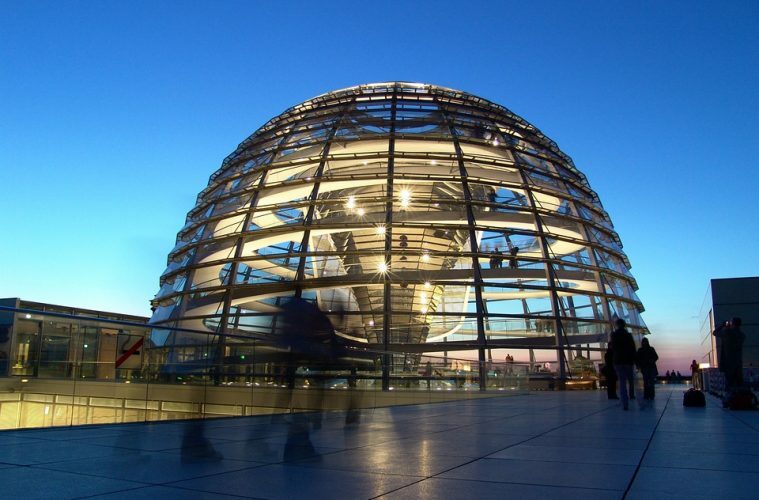 On Tuesday, thirty days after the general election, the 19th German Bundestag convened for the first time. The constituent sitting marked the official start of the four-year legislative term. What are the lessons and upcoming challenges that can be drawn from the Bundestag’s inaugural session? The first sight of the newly-elected Bundestag is astonishing. Quite literally, the political stage changed following last month’s election. Now, a record number of 709 members constitutes the Bundestag, making it the second largest parliament in the world after China’s National People’s Congress. The German Taxpayers’ Federation (BdSt) estimates that the bloated parliament will cost Germans an additional 75 million euros per year, resulting from logistical nightmares and a lack of office space. Without remedial measures to contain dysfunction, the chaos in the new parliament will undermine public confidence and hinder the Bundestag’s day-to-day work. In light of this, President by Seniority Hermann Otto Solms (FDP) urged members to put aside their usual politics and immediately reform the electoral system in his opening remarks on Tuesday. With the re-entry of the liberal Free Democrats (FDP) and the arrival of the far-right Alternative for Germany (AfD), the Bundestag has fragmented into seven parties and six factions for the first time in 60 years. Growing blocs on both the right and the left suggest a decline of the long-established Volksparteien (people’s parties) whose political programs in the past addressed the needs of the entire population, not just a segment of it. Indeed, it seems the political spectrum is creeping away from the center. While the Christian Social Union (CSU), effectively the Bavarian wing of Chancellor Angela Merkel’s conservative Christian Democratic Union (CDU), has historically situated itself the furthest to the right, the AfD now sits even further — and claims the third largest faction in the Bundestag. Two AfD leaders, Alexander Gauland and Alice Weidel, even have seats in the first row, an area usually considered to be well-covered by media cameras. Both Gauland and Weidel appear eager to stoke tensions in the otherwise staid assembly. Truly, the populist leaders revel in controversy. In the past, Weidel has called German politicians “puppets of the victorious powers in World War II”, while on election night, Gauland pledged to “hunt” Merkel for her policy on refugees. Despite the AfD’s disturbing rhetoric, President by Seniority Solms emphasized that the Bundestag must reflect the plurality of opinions in Germany. But it’s still undeniable: the newly-elected legislative body represents a kind of social fragmentation whose roots lie in a growing dissatisfaction with the Grand Coalition, comprised of the center-right CDU/CSU and center-left SPD, and the harmonization of both parties’ political programs. These alarming figures should be a wake-up call to all naysayers of feminism who view it as unnecessary in Western society. A new culture of hotheadedness has quite suddenly emerged in the German parliament. Carsten Schneider, member of the SPD, called for the Bundestag to “become the center of political debate once again” and harshly attacked Angela Merkel for failing to preclude a far-right party from entering parliament. It is apparent that the line between granting the same rights to the AfD while not tolerating anti-democratic attitudes will be a test for the other parties. Only minutes into the session, the AfD failed to pass its first motion, which proposed to change the rules of procedure to impede the current President by Seniority from opening and chairing the session. In fact, parties of the Grand Coalition had changed the relevant rule at the end of the previous term, stipulating that the member who has served the longest would offer introductory remarks. The AfD’s motion intended to go back to the earlier rule according to which the oldest member would open the first session — in this case, a member of the AfD. Criticism of the amendment abounds. The Grand Coalition’s maneuvering appeared to be a weak, panicked response, intended to avoid affording an open platform to the AfD. But the move has effectively fueled the typical “victim role” that AfD members like to communicate to their voters. In fact, AfD’s chief whip Bernd Baumann accused the chamber of employing Nazi-era tactics. A similar controversy broke out concerning the AfD’s nominee for Vice-President, Albrecht Glaser. Rules of procedure hold that each party has the right to be represented on the Presidium by at least one Vice-President with the approval of a majority of the plenary. Obtaining a majority vote is normally a foregone conclusion, but Glaser is an unsavory figure. He has previously classified Islam as a political ideology and has argued that Muslims should not be granted a right to religious freedom. His remarks haven’t gone unnoticed: on three separate ballots, the rest of the assembly shut him out of the Vice-Presidency. An unsurprising outcome of the Bundestag’s first session was the election of outgoing Finance Minister Wolfgang Schäuble (CDU) as President of the body. In his new capacity, Schäuble will be responsible for maintaining parliamentary order and, if required, censuring disruptive members. In response to the AfD’s election campaign, during which the party claimed to “take back our country and people”, Schäuble contended that “nobody on their own represents the people.” He recalled further that democracy’s firm foundation in Germany had helped the country to overcome many crises in the past. Now, even with the far right in parliament, Germany can still continue to thrive. Plenary is expected to convene two more times this year. However, uncertain talks to form a revolutionary three-way alliance of CDU/CSU, FDP and Greens (known as the “Jamaica” coalition because of the black, yellow, and green party colors) continues to stall the process of setting up the Bundestag’s permanent committees, ultimately diminishing their capacity. In the meantime, the focus remains on the AfD. It is evident that, contrary to its own self-assessment, the party will not represent “the people” but rather a small, vocal portion of the electorate. Though the other parties remain in opposition to their far-right counterpart, AfD members will likely dominate discussions with their usual flair for provocation. Sara Bundtzen holds a bachelor’s degree in European Studies from the University of Southern Denmark and is currently pursuing her master’s degree in International Security at PSIA.